This is a cross-post with CFR’s Development Channel Blog. Yanzhong Huang guest blogs for contributing editor Terra Lawson-Remer. 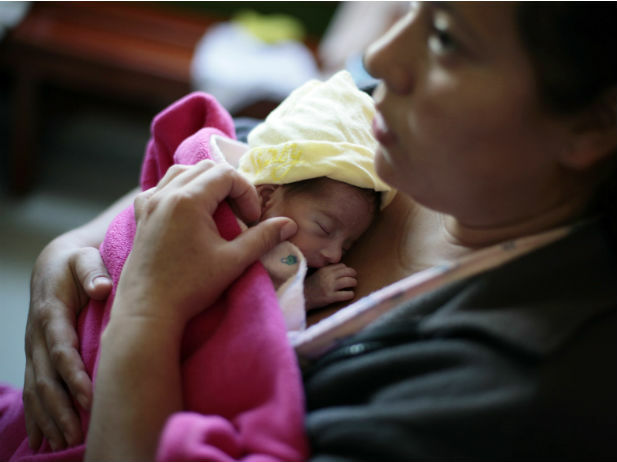 A mother hugs her baby, who was born at 7 months, during the “Kangaroo Mothers” program in the maternity ward of the Roosevelt hospital in Guatemala City, October 29, 2012 (Jorge Lopez/Courtesy Reuters). According to Orr, the progress of the MDGs so far has been undersold. But in emphasizing the need to maximize what we can do on the MDGs, he also noted some lessons to learn from their implementation, such as the need to focus on equality, accountability, health systems strengthening, and sustainable budgeting and financing. Both speakers in the first panel—Charles Kenny of the Center for Global Development and Nicola Crosta of theUN Capital Development Fund—agreed that the MDGs were useful tools for development and consensus building, but they also pinpointed the limits of the approach. Kenny noted that there was no clear evidence that the MDGs had led to increased social investment, while Crosta went a step further, highlighting the MDGs’ shortcomings in promoting shared growth and reducing inequality. In addition to the issues of inequality and exclusion, the post-2015 development framework will have to deal with a whole range of geoeconomic, demographic, ecological, and epidemiological challenges that have emerged or intensified since 2000, when the MDGs were put into place. The traditional donor-recipient relationship inherent in the MDGs, for example, is being transformed as some traditional recipients of development assistance, such as China and India, significantly increase their aid to poorer states. Joel Cohen of Rockefeller University highlighted some of the profound epidemiological and demographic changes: 1 billion people have been added to the global population since 2000; more people now live in cities than in rural areas; HIV/AIDS deaths have peaked; tobacco use is the leading preventable cause of adult mortality; 41 percent of pregnancies today are unintended; and half of all deaths of children under five occur in five countries (China, Democratic Republic of the Congo, India, Nigeria, and Pakistan). In his lunch keynote, John Podesta, the U.S. representative to the UN High-Level Panel on the Post-2015 Development Agenda, envisioned that the new approach will be built upon the existing MDGs, but the focus will be on eradicating extreme poverty in all nations. It is encouraging to note that compared to the cooking-up of the MDGs, the setting of the post-2015 agenda will be an open and inclusive process involving both poor and rich states, although we are not yet sure whether the involvement of non-state actors will be consultative or participatory in nature. Pondering the post-2015 agenda also raises questions about the status of health. Health has been at the center of the MDGs. Among the eight goals, three are health-specific objectives (child health; maternal health; and combating HIV/AIDS, malaria, and other diseases). At least another four (poverty, education, gender equality, and environmental sustainability) are related to critical social determinants of health. Podesta agreed that health should be a “robust” part of the post-2015 agenda, but the challenge is finding a single comprehensive goal for that purpose. If communicated in a clear and straightforward manner, Universal Health Coverage, defined by the Rockefeller Foundation as “access for all to appropriate health services at an affordable cost,” potentially provides a unifying target that crosses all political and economic lines. This is because it not only meets the guiding principles laid out in Orr’s speech but also—with its focus on financial risk protection and health systems strengthening—offers a systematic and sustainable solution to the major global health challenges of the 21st century.